Animal Medical Services takes special care to understand the unique needs of each of our clients to design custom solutions that exceed expectations. Our attentive staff makes every effort to ensure you are 100% satisfied. Does your pet seem itchy and uncomfortable? Are they constantly licking and chewing? Have you noticed discoloration of the fur or even missing hair? Your furry friend may have allergies! There are two types of allergies; inhalant/environmental and food allergies. Some signs to look for can be inflammation/redness of the ear flap, redness of the limbs, chewing of the feet and itching all areas reachable! Food allergies can result in occasional vomiting and upset stomach. However, there may be other signs of allergies that aren’t as noticeable. While some of these symptoms may come and go with the seasons, many of our pets can experience year- round allergies. Our Nevada climate can bring the blooming and shedding of many plants in the region. It’s what makes our growing seasons so great (but not so much for our fur babies)! 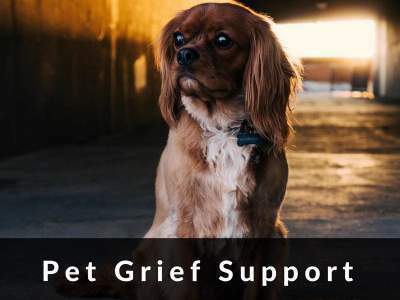 We know that losing a pet is never easy and sometimes it effects some more than others. We would like to offer information that provide suggestions for ways to manage the difficult emotions that come with these hard decisions.